Did you take his cage away? No, not yet. I let them spend the night together though. 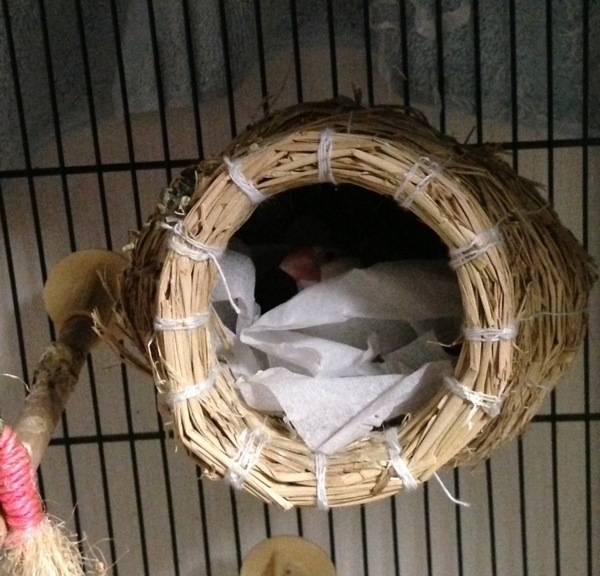 But yesterday I separated them again in the evening because he kept flying back to his cage to eat (though he was also eating in Mon’s cage). Today he went into Mon’s cage a lot. I’ll make it permanent within a few days. Don’t worry.